For this ride, we will head from Glasgow to Johnstone and back looking out for interesting and unusual buildings. Along the way we will encouter castles, mills, clock towers and a bandstand. The journey will end at the Old Parish Church in Govan. 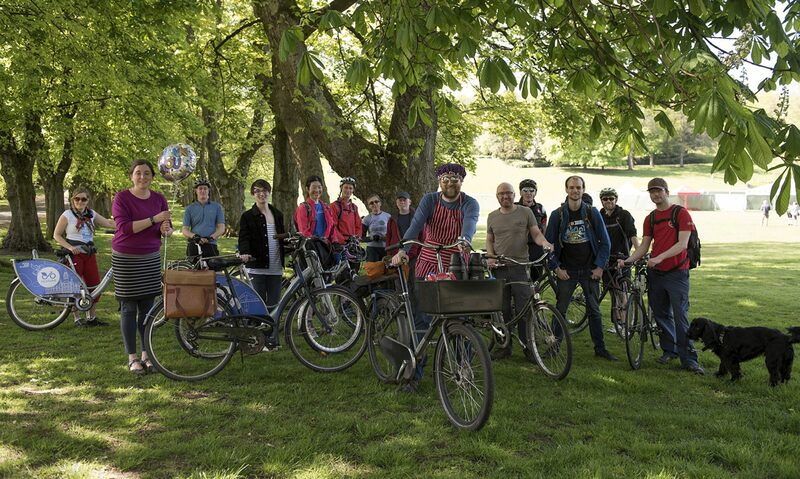 Since Bellahouston Park will be shut for an event, we will take the opportunity to traverse the new Govan-Cardonald City Quietway cycle route on our way to our first building. NB: Note that due to a road running event, many roads between the city centre and Bellahouston will be closed to traffic.